Athletes are truly amazing. Maybe they’re even a little bit crazy, but I stand in awe of anyone who will even ATTEMPT to swim more than a mile in open waters before hopping onto a bike for a 53 mile ride and then run a half marathon. That’s what they were doing at the Iron Man 70.3 in Galveston recently. And I got to do what I do best, photograph the event. Once again I was thankful to be in my flat black quasi-athletic sketchers shoes, working at my own respectable pace while, allowing the other folks to enjoy the wind in their hair thanks to their featherweight bikes, super fancy running shoes, and years of arduous training. There was a time in my life that I could swim pretty dern far, albeit one slow stroke at a time. A bicycle was my primary mode of transportation, and I could rack up the miles with the best of ’em. But running — well, that just never happened. I went through a phase where I thought it would be cool to run — or jog — or whatever they called it for fun and fitness, but never could even get up to a mile before the stitch in my side put me back in the slow plodders lane. I love to live vicariously through the events I photograph, and I hope that my work can provide memories for participants years down the road. Once I processed the Ironman pictures and delivered them to my client, I didn’t really think about them again — until this week when I got the nicest message from her. She loved the pictures, and I’ll never get tired of hearing that. 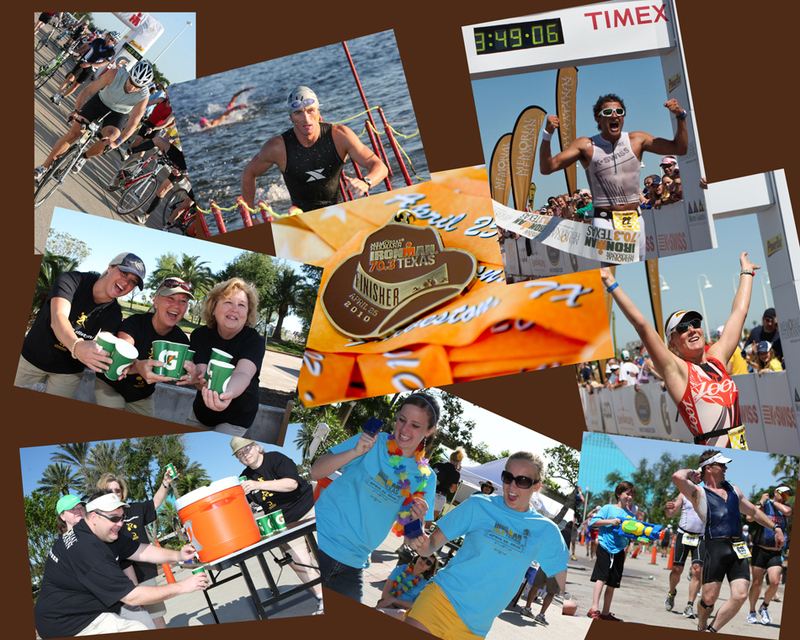 The call sent me back into my files to relive the Ironman Triathlon all over again. And I’m not even out of breath. Click here to see the event as it unfolded. I’ve decided I love triathlons. I could definitely do this again.